Giving Tuesday is November 27, kicking off COMOGives community-wide non-profit fundraiser! Thanks to your financial support, we musicians are able to continue making great music together! 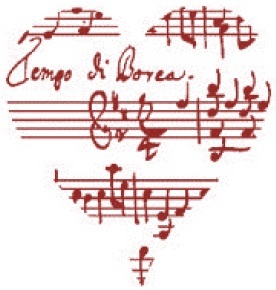 please consider making a donation for our musicians. Odyssey Chamber Music Series, Inc. is a 501(c)(3) non-profit organization. * Some restrictions apply for advertisement. Advertise in our Letter-sized Programs! prior to the concert date. *Exception: October advertising is due 9/5, and March advertising is open to only our season sponsors. *Restrictions: No conflict of interest events, No violence, and nothing that is inappropriate in nature for any member of the families. Odyssey's 2013 Fundraiser, "A Celebration of Chamber Music" also doubled as Gala Reception for the 6th Plowman Chamber Music Competition after its Finals Concert & Awards Ceremony at the Missouri Theatre. 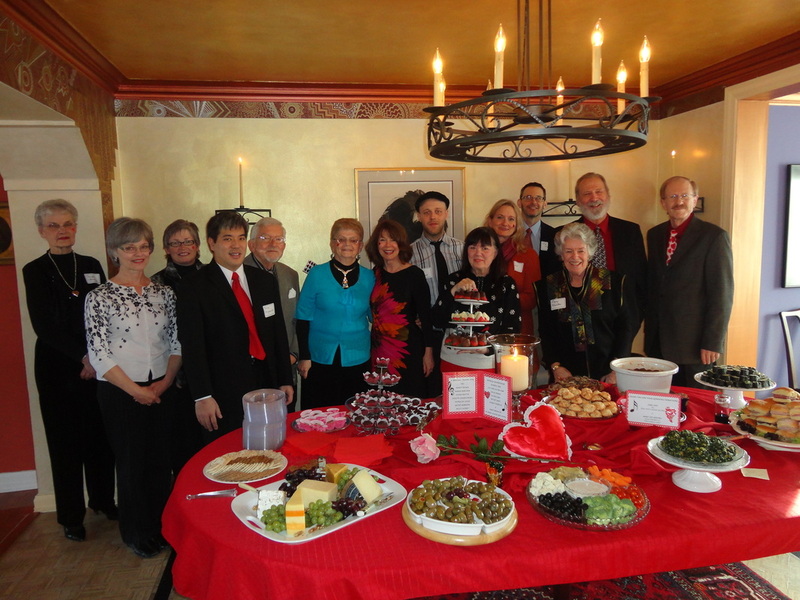 Pictured here are (L to R) Randy Gardner, Peter Wiley, Ayako Tsuruta, Frederic Chiu, and Dr. Peter Miyamoto, with hosts Dr. Mary Stegmaier and Dr. Christopher Otrok. 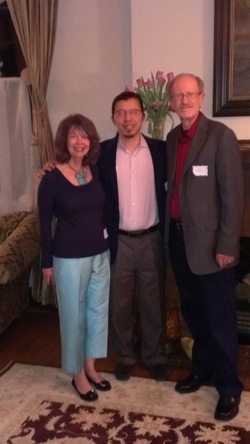 "A Celebration of Chamber Music," Odyssey Fundraiser 2013 with (L to R) Dr. Patricia McIntosh Coles, Frederic Chiu, and Dr. Gary Coles. 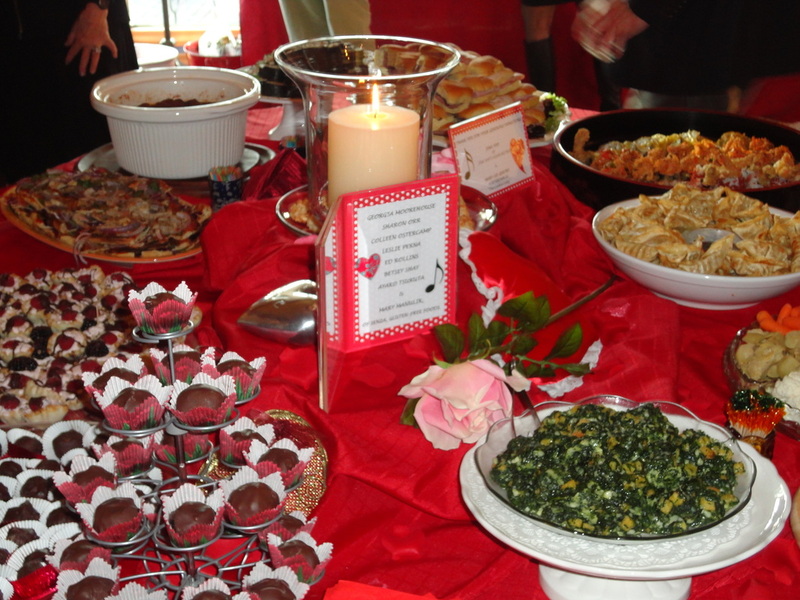 February 12, 2012 at "Champagne, Chocolates & Chamber Music," Odyssey's first fundraising event at Phil & Nancy Harters. These are only 1/2 the volunteers who donated food and/or services, and only 1/2 the food (! ), taken 30 min before the event. Thank you everyone!! 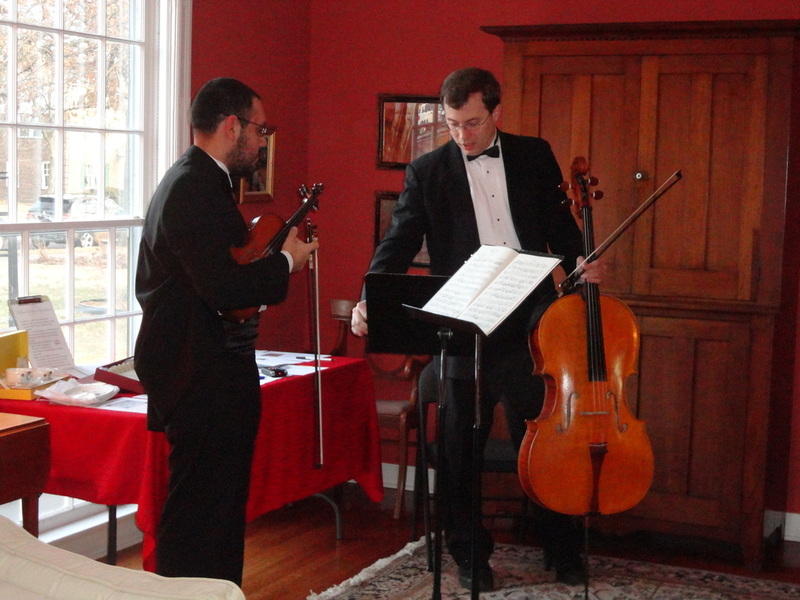 Musicians Ronaldo Sarmanho (Odyssey '11-13) and Matthew Pierce (Odyssey '09-'13), who gave us a wonderful string duo program of Krummer, Beethoven and Handel/Halvorsen. Gorgeous, quality pen with gliding, choice of dark ink with Odyssey signature grand piano imprint! Choose one from selections of Red or Gray barrel with black ink, or Aqua or Blue barrel with blue ink! 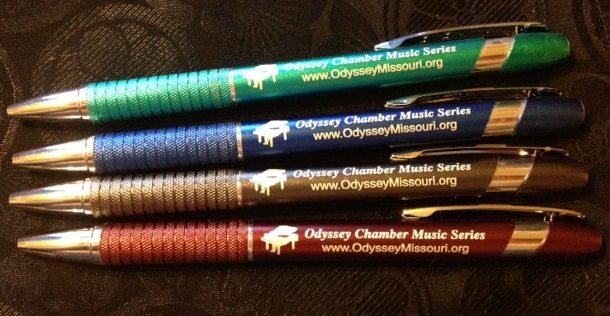 Add a splash of musical color to your office with this GREAT Odyssey Pen. FREE GIFT for a donation of $100 or more. Odyssey and Plowman need your continued financial support. When you can, could you please consider making a donation, beginning at $20? Multiple donation is possible if you would consider a greater amount; please specify if the donation is intended for "ODYSSEY" or "PLOWMAN." Click HERE to find out some benefits for becoming a donor. Thank you so much!